South-African fast casual chain RocoMamas opens its very first outlet in India and the city they chose is Pune. Located at World Trade Centre in Kharadi, this American-style diner is making waves with its elaborate smash burger menu and freak shakes. The quirky appearance of the joint impressed us. 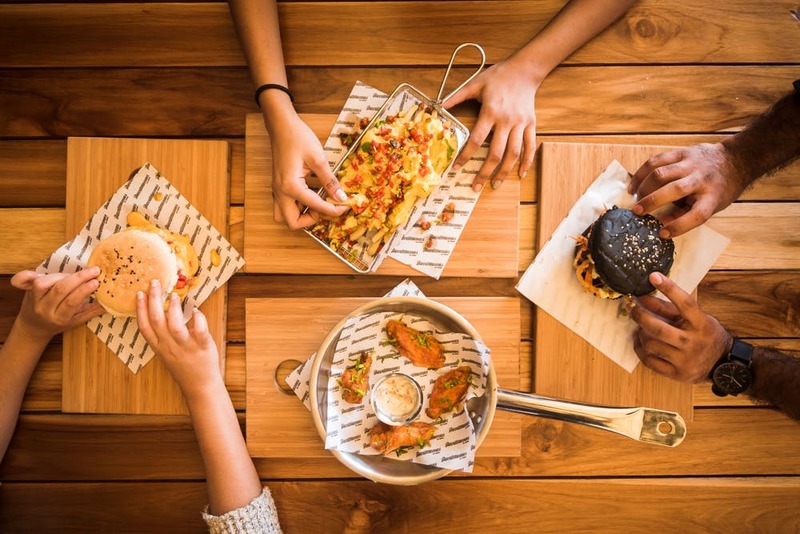 With their signature orange decor, RocoMamas has opened its doors for all the burger and fast-food lovers who want to get a taste of these cheesy delectable delights. For starters, we tried their signature chilli cheese bombs with three types of cheese and their famous in-house mofo dip. That was followed by chilli cheesy fries and butter chicken nachos. They got us ribs that were made live on stone grills and had the meaty goodness. If you are a fan of chicken wings, you've got a fine place for it. Since they are known for their smash burgers, we recommend you give them a try. These burgers come in veg, chicken and mutton options. We tried the charcoal paneer burger along with chilli cheese king burger. We want to tell you that the idea of smashed patties is absolutely stunning and gives the dish a delectable taste. We ended our meal with a jar full of freak shake, which is also their speciality. If you love waffles and pancakes, they have plenty of options for it as well. When the food is so lip-smacking, why not try the boozy cocktails that give you a heady rush? The year is coming to an end, so without wasting any time, bid adieu to 2018 and attend an NYE bash hosted by RocoMamas. Did you know they do not levy any service charge? Also, they have corporate deals and packages that you can opt for. They have bands coming down to play every Friday while every Wednesday is ladies night.